The Respironics DC Cord can be used to operate Respironics’ CPAP Systems where AC is not available. It plugs into a standard cigarette lighter socket found in automotive vehicles. If you frequently operate your Respironics System using DC power, have your home care provider set your prescribed pressure while the unit is operating on DC power. There may be a slight (less than 0.5 cm H2O) drop in pressure when the unit is switched from AC power operation to DC power operation. WARNING: This cord will allow all of the Respironics CPAP Systems to function throughout their entire pressure ranges except for the REMstar® Systems. 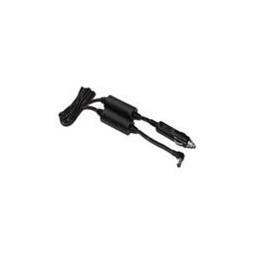 This DC power cord can only be used with the REMstar Systems for pressures of 11 cm H2O or lower.